Who doesn't want to save the day with the PJ Masks? 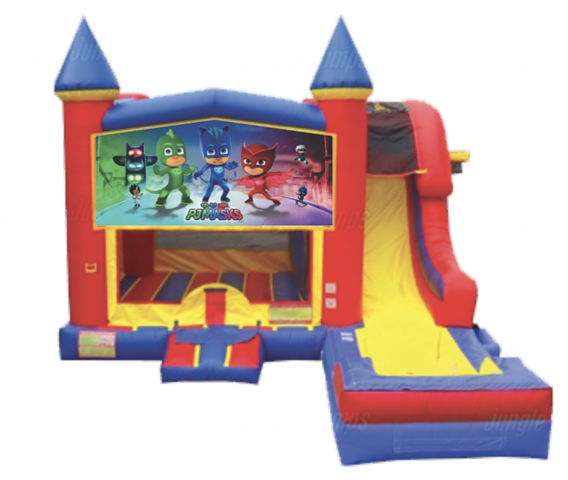 Kids will have hours of fun running and bouncing with their favorite pajama clan: Catboy, Gekko and Owlette! This combo offers bouncing, shooting hoops, climbing, sliding and includes an additional hoop on the outside of the unit for extra fun!